End the summer with a bang! Catch flights to one of the biggest summer closing festivals in Europe this September! 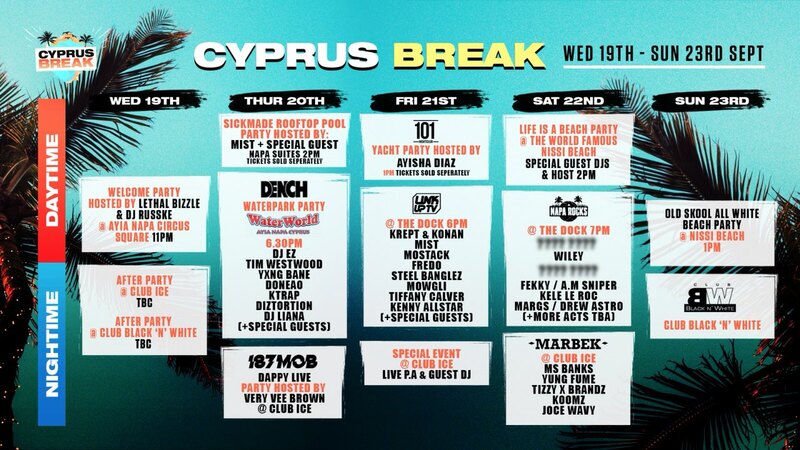 Live from the sunny island of Cyprus, with some of the biggest acts, Djs and special guests! 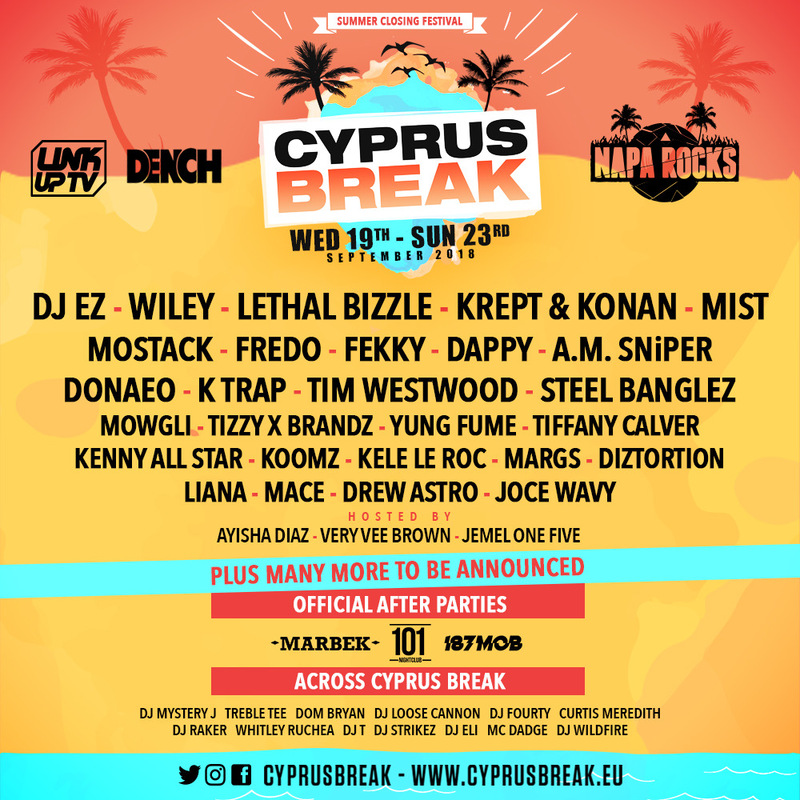 Krept & Konan, Lethal Bizzle, Wiley, Dappy Fredo, Mist, Yxng Bane, Wiley, A.M. SNiPER, DJ EZ, MoStack, Dappy, Donaeo plus many more at Cyprus Break summer closing festival! Plus many more special events and fashion pop ups!